Heading south. Artist Drive. Colored hills. Backtracking. Road construction. 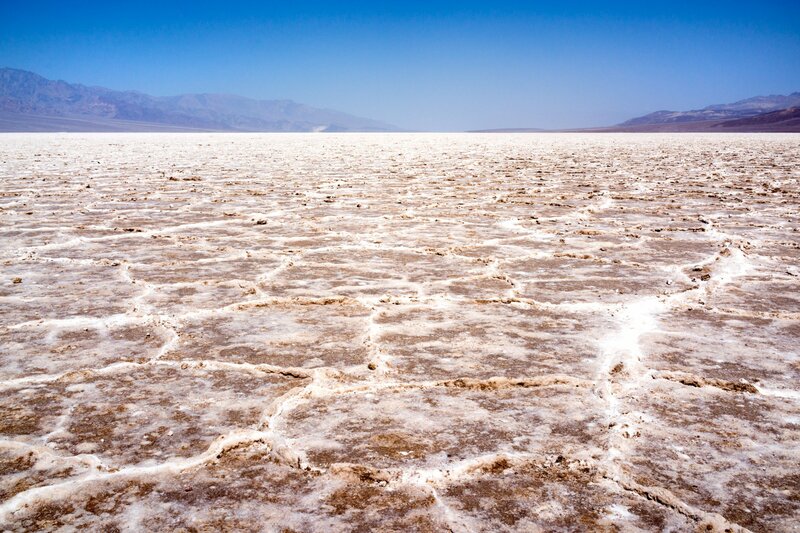 Badwater. Walking out. Testing the sand. Heading back. Waiting for a while. Reaching Golden Canyon. Packing provisions. Sun block. A few wrong turns. Rationing water. Slow and steady. Zabriskie Point. A few quick pics. Gower Gulch on the way back. Easier hike. Empty. More filming. Spent by the end. Another day pass to the spa. Spending time in the pool. Multiple showers. Ice cream and ice. Overpriced gas. Dinner. More stargazing. No reception.